Changing the world a step at a time. 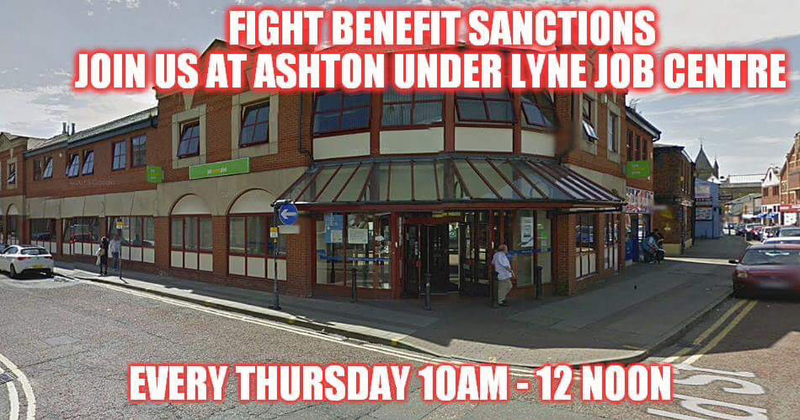 2013 was the year that the DWP and my local council decided to bring universal credit to my town. It was decided that we would be the “pilot” area to trial universal credit. I couldn’t believe what I was hearing. I knew that it wasn’t going to be good and the effects would spread like an infectious disease throughout my town but I totally underestimated it. I was asked my my dear friend keith ordinary guy and Michelle to keep them posted. I decided to do more than that, I couldn’t just sit back and let this happen. I knew it wasn’t right to target the poor like this and this was the start of my journey. I started by demonstrating outside our local magistrates court demonstrating on behalf of the people hit the hardest by the council tax reduction scheme. I witnessed queues of people waiting to see a so called magistrate. Of course they didn’t see a magistrate just a council official. This was very wrong. It took me back to the times of the poll tax, and I shuddered at that thought. I refused to pay that. Even at 17 years old I knew in principle that it was wrong. I put the photos of people queuing online and it started the movement. I met my friend Steve and a few others and we formed Tameside against the cuts. Our idea was to spread knowledge and help to the public, and this is what we did and continue to do. No matter what the weather we have kept out promise. Anyway I digress. The photos prompted a few newspaper reports and a TV appearance. This was my first step into the political arena. I realised that I didn’t need to be scared about questioning those in authority. Indeed questioning Brandon Lewis was a very proud achievement. I realised that despite anything that they are human beings and I am too and on that level we are equal. We carried on with our protests which have evolved more into a campaign. A campaign for fairness and help towards the people who live in my community and nationwide. I’m very proud of my comrades for supporting this. Witnessing a pregnant woman who was wronglysanctioned for a year was a step too far. We then decided that we would stay outside the Jobcentre every week until this evil stops. If we are there for a lifetime then so be it. We are committed. I’ve been lucky I’ve managed to spread the word also by writing about it and being able to publish them in a newspaper. A very proud moment for me. Two years into universal credit and the monster that it is has become unleashed. Whilst the rest of the country are startling to get a taste of it we are well into its settling in period. It’s caused untold suffering and I can only think that the person who created it really hates the poor and working poor. It’s the perfect weapon of capturing the poor and controlling them. It even effects pensioners. That’s another issue, an important one that I will be covering shortly. Combine this with the troubled families phase 2 scheme and they have total control. Do as we say when we say it the DWP say or you loose everything. Everything that you ever had and loved. I try to gather as much information as possible so that we can help as many people as possible. We help any other group that would like to start their own movement. But we do this without any funding. I’ve been criticised for doing this saying that it won’t change anything but it has. People are becoming more aware as a result and in my eyes that’s a very good thing. I’d like to be able to stop this and bring fairness back into society. It scares me to think that my children will have less opportunities than I did. Maybe one day I will have a chance. But I can tell you this, I won’t give up not ever. If you want to support us here’s what you can do. Start your own movement we will help and advise you on how to do this. It’s very easy to do. Support us online and read and share this blog. By doing this you are giving people hope and induration. Donate if you can please contact me for details on how to. Most of all I want to say thank you. Remember we are all human beings and are equal. Don’t let anyone tell you otherwise! This is why we hold our weekly demonstrations. This election is the most important for a generation and the best chance for small parties to make the biggest difference. In small voting areas, small parties have the best chance. Especially in what are called marginals (the sitting MP got in the job ty the skin of his or her teeth). 2010 saw about the same low voter turnout when working class men had only just got the vote, in the 1918 election, when so many men had died diuring the first world war. Movements are fine, but you are bashing you head against a brick wall. Not in saving individual lives, vital absolutely crucial though that is. It is as if you were a Jew in Nazi Germany, or the German old, sick and disabled who were ruthlessly put down as well, unknown to their own families. We did not come out to vote in 2010. No big party won, because more people did not vote than voted. More people are not registered to vote in 2015 than the vastly reduced in 2010. The media neithr national press nor TV news is telling the 75 per cent of all voters, the poor being hit by welfare and pension reform, with worse to come, of the parties that could easily be voted into UK government. Never again will a single party rule the UK parliament. Both Labour and Tory will lose again. The pundits on 9 April predicted 277 Labour seats and 264 Tory seats. 326 MP minimum is required for a single party to rule UK government. This is what is meant by a severe hung parliament, when no single party can form a UK government in Westminster London. Even in coalition, the Lib Dems will be reduced from around 50 odd seats down to 28. So no big party can rule, even with about 4 UKIP coming and 28 Lib Dems. Labour does not want to do a deal with the Scottish SNP, but the SNP could win all 59 Scottish seats and and if Plaid Cymru also win all 40 Welsh seats, then Labour is reduced to just 190 Labour seats. But by SNP and Plaid Cymru wins, the Tories and Lib Dems are reduced even more than the predictions. And bring in over 100 anti austerity MPs who are the sole way for a group of parties to form a UK parliament. This is the Vote or Starve election and only those parties of the poor of the left can bring in more than single figure MPs. Right now the prediction that all the small parties will bring in altogether only about the same as the single party the Lib Dems. Yet we, the poor, are the 75 per cent of all voters. We could vote out Tories by the shed load. Labour cannot win on its own. The Greens will only gain the 1 MP they have already. You might be shocked at the support the Green Party has. They have a lot more support than tusc etc. In your article re: Council Tax, you mention that at the court, people do not see a magistrate, but a council official. This is correct. Are you aware of the whole story? It is a con trick. The cases of non payment of council tax do not go through the court system, the court holds no records of who ‘attended court’ or the results. The council rents the room at the Magistrate’s Court. People believe they are attending the Magistrate’s Court where they will have the opportunity to present their case to the magistrates. The council then has the right to inform the DWP that they have ‘taken someone to court’ and gets the DWP to stop money out of the person’s benefits. They have to show no proof only provide a list of people and how much, and the DWP stop a figure each week. This happened to me two years ago, in what was the first year of people on benefits having to pay some of the council tax. What made it even worse was, I had paid. Not only paid, but paid the whole year’s council tax in one payment, two weeks before the ‘court hearing’. The council still had the nerve to insist it had gone to ‘court’ for non payment. They didn’t write to me to inform me. I found out when the DWP stopped my first payment about one month after the supposed ‘court hearing’. I worked out the truth when phoning the court to find out why my case had been put through court, and a helpful member of staff at the court told me about the room renting. On contacting the council and asking for a copy of all the court paperwork, I was told they had sent it to me after the ‘court hearing’. As they had ‘posted it all out to me they did not possess a further copy to send me’. I asked for a photocopy of their file copies. They had no copy, they insisted. The council cancelled the DWP taking any more payments from me. It took me while to gain a refund for money taken, but I succeeded – from the council, not DWP. Interestingly, the council must have known they were in the wrong as they made no attempt to charge me the summons costs, or court costs – just the actual council tax. In addition, I find it interesting with an emerging topic in the news this week, that people who are leaving Britain on holiday are going through additional checks at the ports/airports, and it has emerged that anyone who owes council tax can be stopped by the police and told they cannot leave, unless they pay up. This means any council can just supply a list of names, no proof required, and extract money. People are going to have to pay up at the port/airport if they wish to continue their holiday. Disputes when they return but no opportunity at the time. Yes I am thanks I just shortened it for the blog. I spent a lot of time dealing with the council tax issue. I hope your story inspires others. Its amazing what a difference a small group of dedicated people can make by selective demos outside the jobcentres and council offices, as we have found ourselves. 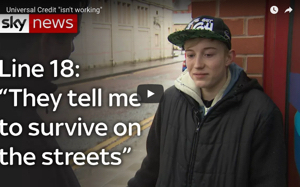 At the very least, demos outside jobcentres can reach individuals who have been unfairly treated at the jobcentre and have literally nowhere to turn for help. The group to which I belong is independent, but Unite Community is setting up groups up and down the country, and they have funding, so thats a possible way to go for people who don’t have the confidence to start a group on their own.